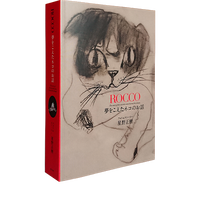 ROCCO The story of the Cat who went beyond the Dream Photo & Story by Masaki Hoshino The story is set five years in the future, in 2020, in a country and a city that remain anonymous. 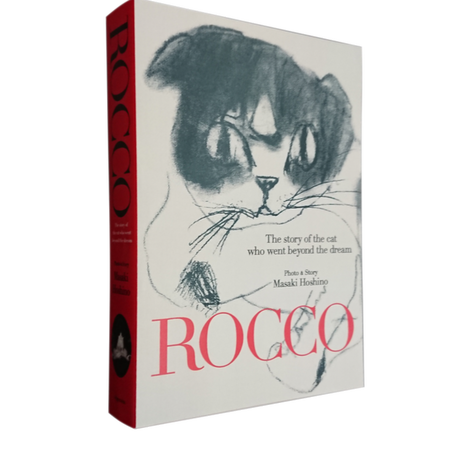 It begins on the day on which Rocco, a cat who shares a happy life with the human beings who love him, receives a vision. A beautiful woman descends from the heavens and takes him on a journey through outer space. Rocco learns that the Earth is in imminent danger of destruction and that he has only three years in which to develop the uncanny powers required to save it. As the fantasy unfolds, Rocco’s IQ soars, he finds himself able to speak human languages, his unshakable love for humanity deepens, and the true nature of the danger is revealed. The fantasy is extraordinary, but the story telling is realistic. Rocco’s confusion and the conflicts into which the people who love and believe in him are drawn are presented realistically, in ordinary, everyday language. Rocco’s happiness and sadness and the loneliness of the mission that only he can accomplish are more than plot devices that move the other characters in the novel. All who read the book will be deeply affected by them. 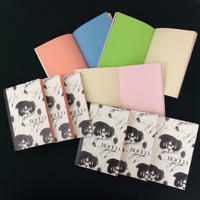 Author’s Profile Masaki Hoshino Born in Tokyo. Hoshino played a leading role as a producer in the world of theater for two decades before an incurable disease confined him to his home 20 years ago. Several years ago, he happened to meet a three-month-old Scottish Fold kitten and acquire it as a gift to his cat-loving wife. They named it Rocco. In the course of spending every day with his new family member, Hoshino found himself dusting off his SLR to photograph the feline during the limited time in which mobility remains possible for him. 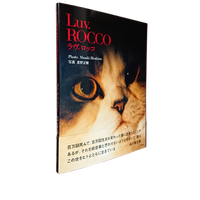 The result is this book, “LUV ROCCO”.? 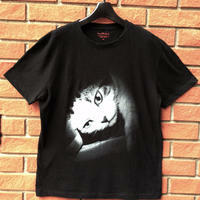 □ 著者：MASAKI HOSHINO □ 判型：B6 □ 総頁：360P □発行：BRUCKE Co.,Ltd.